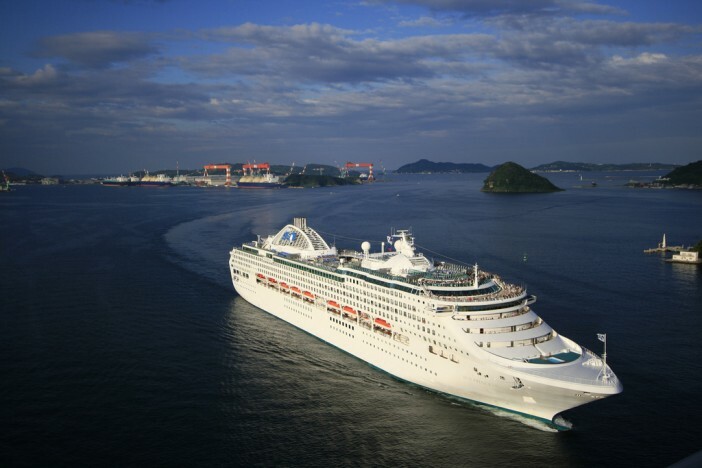 Princess Cruises’ Sun Princess performed a daring rescue in difficult and inclement weather off the coast of Vanuatu in September this year. The five distressed people aboard the foundering boat, including the mother of a senior Vanuatu Government minister, had been drifting in the dark ocean for 48 hours prior to their rescue by the Sun Princess crew. All members of the ship’s crew showed exceptional courage as they risked their own lives to save those in need. Deputy Prime Minister of Vanuatu, and minister for Tourism and Trade, Joe Natuman, along with the Minister of Climate Change, Hami Lini, boarded the Sun Princess to personally thank Captain Diago and his crew for their act of heroism. The Deputy Prime Minister presented Captain Diago with a mini tamtam as a small token of their gratitude in a small ceremony witnessed senior tourism and shipping staff. The Captain assured the minister that he was very welcome, as Natuman thanked Princess Cruises for their role not only in this rescue, but also in providing humanitarian aid after Cyclone Pam over a year ago. Captain Diago returned the Deputy Prime Minister’s gesture by presenting him with a small token of acknowledgement, as the Director of National Disaster Management, Director of Tourism Development, and Managing Director of South Seas Shipping looked on. The Minister of Internal Affairs, whose mother had been rescued, could not be present, but expressed his heartfelt thanks for the safe return of his mother, citing the power of prayer by the people of Vanuatu for turning a tragic day into one of joy. For a full range of Princess Cruises deals, head over to our dedicated page or call our friendly sales team on 1300 857 345.